In a building that has seen some of the world&apos;s best performers - from metal and folk to classical and pop, and everything in between - there&apos;s one annual event that is just for guitar enthusiasts. 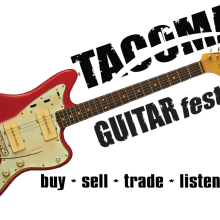 The fourth annual Tacoma Guitar Festival sets up in the Tacoma Dome April 21-22, 2019. Live performances, special presentations and more than 150 vendors all converge in a weekend-long celebration of the instrument. Saturday&apos;s headline performance will be John 5 and the Creatures, a crunch-heavy, innovative shredder known for his work with musical legends like Alice Cooper, Rob Zombie and Marilyn Manson. Also Saturday, a true guitar craftsman will take the stage. Paul Reed Smith, designer of custom instruments for Carlos Santana and John Mayer, will host a special presentation featuring his latest designs and products. Sunday will feature David Ellefson, bassist and co-founder of Grammy-Award-winning thrash metal band Megadeth. Throughout the run of the event, performers like Trevor Gordon Hall, Muscle Shoals Swamper’s Will McFarlane and Tacoma Guitar Festival favorite Carl Tosten will keep the crowds on their feet. The best way to experience the Tacoma Guitar Festival is to make an entire weekend of it with an overnight stay in nearby Fife or Tacoma.